He and his fellow classmates from the same part of the city would catch a cab and share the cost. This way they would pay less than what they paid for the buses, and would also be on time for class. Later he came to realize that sharing a ride contributed to a green economy, where pollution was worsening due to increase of cars in Tashkent city. 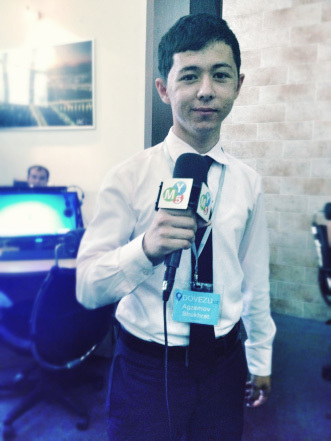 Shuhkhrat studies economics and management in the field of information and communications technology at the Tashkent Information Technologies University. 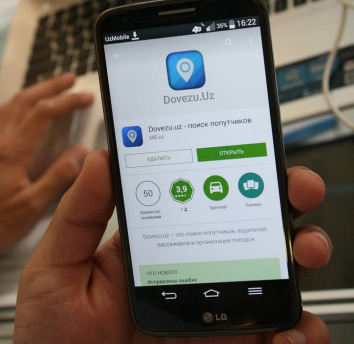 He started a Facebook group Dovezu.uz, a ridesharing group for Tashkent residents less than a year ago. According to the group rules, anyone wishing to get to a certain destination leaves a post stating where and when he can be picked up. Whoever heads towards that direction in the group may agree to share the ride. The ride catcher pays the half price or even less, if there are more ride sharers in the same ride, and the driver financially benefits from sharing his/her car while running to personal business. The sharing ride will make the both sides happy, because the ride catcher gets his/her destination in less time than it would take him/her to get there in public transportation. 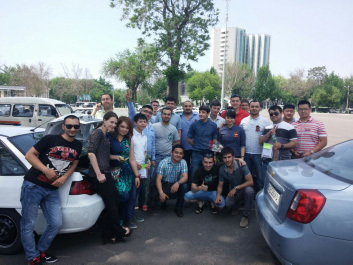 Both the ride sharers and ride catchers contribute to a green ecology by reducing carbon dioxide emissions and creating less traffic throughout Tashkent city. At the same time, they create comfort and flexibility for people by shortening their journey and bringing some financial benefit. A few weeks after creating the Facebook group, Shukhrat and his friend Jalaliddin Ibragimov co-founded social venture Dovezu.uz. Within a few months, it released its very own online platform and mobile app. Currently, 1200 users on the website and more than 4000 users in the Facebook group use the services of Dovezu.uz. 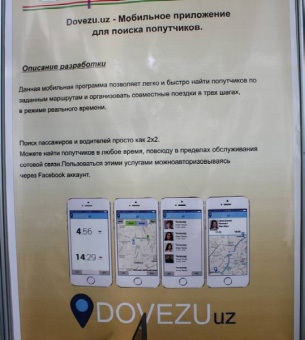 The social project received a lot media attention in Uzbekistan. 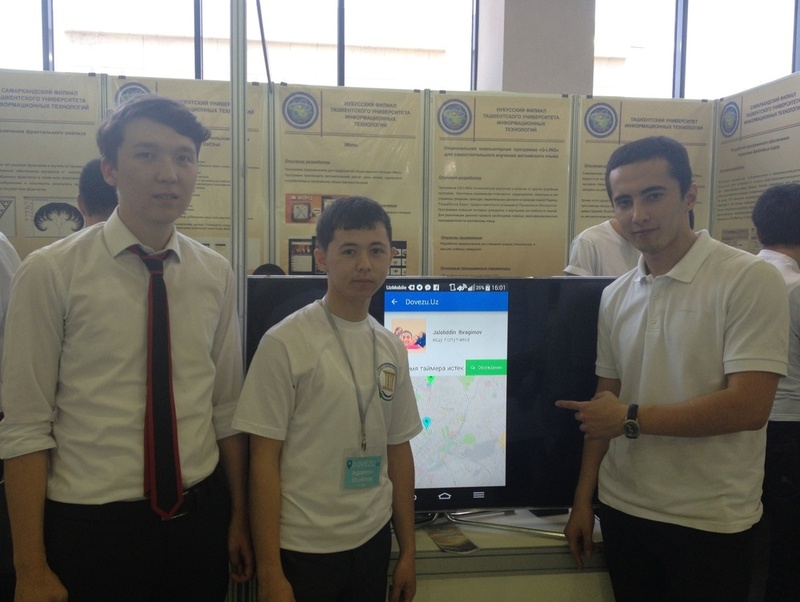 Shukhrat participated in many social innovation competitions and forums to promote the project. His project was named one of the best social projects and one of the best projects led by young people in number of cases.